Hannah Davis, certified strength and conditioning specialist (CSCS), will always be a coastal Carolinian at heart. Born and raised in North Carolina, Hannah first fell in love with weight training in high school when she was just 17 after she took a weight lifting class “to flirt with the boys”. She graduated from UNC-Greensboro with a degree in drama and left to chase dreams in New York City. After a few years of working in the entertainment industry, Hannah decided to leave the industry to pursue her true passion. There was one thing she knew she was really good at and that was understanding the roles of exercise and nutrition in achieving complete wellness and inspiring others. She left her job and enrolled in the Academy of Personal Training in NYC, where she graduated at the top of her class. Hannah's many certifications enable her to work with clients who are training for weight loss, muscle hypertrophy, corrective exercise, specific sport, and pre/post natal. She has worked with children, athletes, young professionals and the elderly. She is experienced with addressing a variety of limitations that clients may have. Her background in nutrition also adds a strong component to creating a more complete training program. Hannah served as the fitness expert on the advisory board for Cosmopolitan Magazine and has contributed and been featured in top publications and books including Women's Health Magazine, Cosmopolitan, SELF, Fitness Magazine, Health Magazine, Yahoo Health and Shape Up Shortcuts to name a few. She has appeared on NYC's Fox 5 and NY 1. 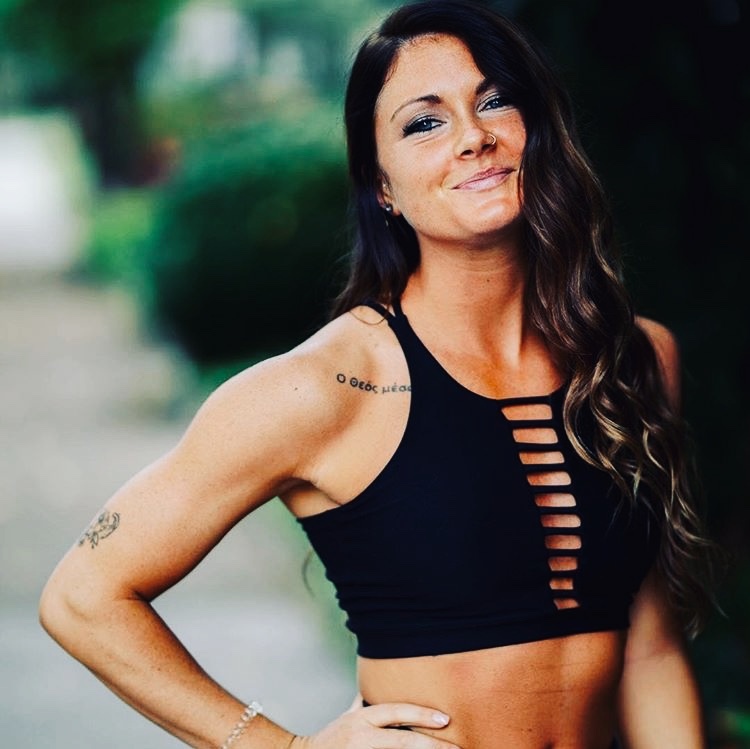 Currently, Hannah lives in Cleveland, TN where she and her amazing staff of BBH trainers inspire and teach everyday clients in her boutique fitness studio. An initial look at your fitness level, body composition, movement assessment and goal setting. From here, we can book individual sessions and then train together weekly. Beginner level and advanced group fitness classes with instructors who stress quality of movement over quantity. Perfect for those who thrive better in a friendly, non-competitive community vibe. We love our #fitfam! Hannah’s team of Certified Personal Trainers is here to motivate YOU to your personal health and fitness goals! Megan Ownbey is a National Academy of Sports Medicine Certified Personal Trainer with a Corrective Exercise Certification and Fitness Nutrition Specialization Certification (NASM-CPT, CES, FNS). In college Megan was the fitness coordinator and group fitness supervisor at Lee University’s Rec Center, where she got involved because of her passion for fitness while studying for her undergraduate degree. She previously worked as a gymnastics coach and with the Livestrong Program, a program that works to rebuild cancer survivor’s strength after treatment. She has participated in an Ironman 70.3 and a 200 mile relay race because of her love to challenge herself mentally and physically. Megan has worked with a wide variety of clients and has now been a part of the BBH team for 2 years training and instructing classes. Megan is dedicated to her passion and seeing her clients succeed. Ask about Megan to see if she currently has any openings for new clients. Scott Stinnett is a National Academy of Sports Medicine Certified Personal Trainer with a Corrective Exercise Certification, Performance Enhancement Certification and Weight Loss Specialization (NASM-CPT, CES, PEC, WLS). Challenging himself and others to achieve their goals has been his passion since childhood. He began personal training in high school and worked his way through college where his love for the human body and mechanics of health lead him to study Health Science. Upon graduation he worked as a Physical Therapy Technician for two years after college, learning invaluable information about treating injuries and patient exercise rehab. He’s worked with a wide array of clientele, everything from learning to do a pull-up, to losing over 100 lbs, to helping a client gain enough strength to be able to cancel a scheduled back surgery! If you’re looking for a high-energy, open and uplifting coach to push you towards your best life, you’ve found him. Sara Anne Ownbey is a National Academy of Sports Medicine Certified Personal Trainer with a Fitness Nutrition Specialization Certification (NASM-CPT, FNS). Her love for fitness started on the track where she challenged her body’s endurance. She then stepped into the gym where she fell in love with strength training and fitness. Her favorite exercises are moves that get the heart rate up and full body moving, especially burpees. She believes in living a holistic, healthy life and is passionate about how health not only benefits the physical appearance but also the emotional and mental states, which are equally important. She has loved seeing her clients totally transform the way they see themselves and hopes to help everyone she works with create long-term healthy habits. If you’re looking for a trainer to encourage, uplift, support, and push you to achieve your own goals, Sara Anne is the trainer for you! Let's be real. Fitness is confusing. What workouts should I do? How can I know what to do? How do I keep my workout interesting? What should I be eating? How do I stay consistent? How do I avoid fads? How do I deal with so much conflicting information? These are complicated questions that me and my trainers have dealt with every day for years and why so many people turn to personal trainers for help. As much as we want to help everyone, we know that there are only so many hours in the day. Our solution was to help you any time, anywhere. Our online training studio gives you a new exercise and education program every month so that you always have a plan to follow and get amazing weight loss and muscle toning results. Our included meal plans and recipes take the confusion out of eating healthy. With all the different diet options out there, we're going to sit down each month and examine the pros and cons of them. We're building a community with our private Facebook group to help you stay accountable and connect with your BBH trainers to ask any questions you have. BBH.Fit is personal training you can take with you. Feel free to contact me with any questions or comments you may have - I'll respond as soon as possible.